We all love a hot cup of coffee first thing in the morning, fresh and aromatic at our work desk. It plays an important role in our society and has made an indelible mark on our culture. However, most of us never really stop to consider where that coffee came from, or who got it to us across all those miles. Now it may be time to be conscious of your coffee consumption. You’ve probably heard of “fair trade coffee,” which is coffee that comes from trade based on dialogue, transparency, and respect. The current standards were set in the 1960's in order to create an international trade agreement which made working conditions more sustainable and livable for coffee farmers in various different countries. Now, however, those who work in coffee still face myriad socio-economic issues. Of course, there are also different environmental concerns to consider as with any large-scale plant production. Coffee production and farming require clean water, and different countries face different challenges in that regard, as climate change causes shifts and different political policies allow for pollution in major waterways. Additionally, shifts in climate mean shifts in farming behaviors that can hurt coffee farmer profits, as their yield may not be as large as it has been historically. 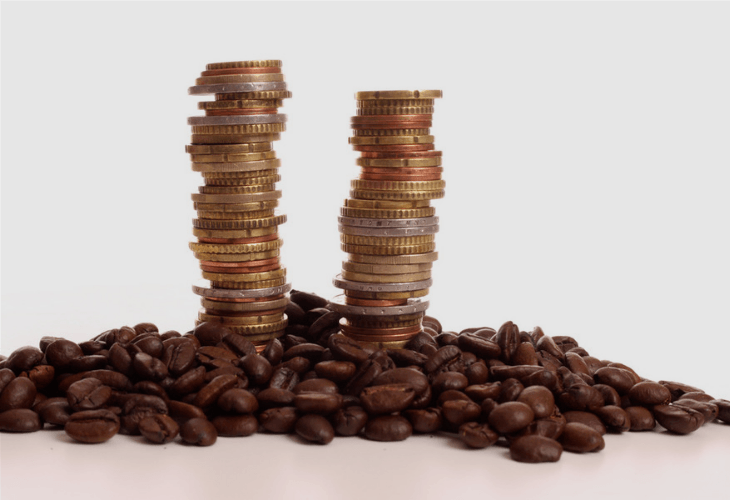 Despite what you may be paying for your regular cup of coffee every morning, the cost of fair trade coffee has drastically dropped over the years. The price has dropped so low that many coffee farmers live in abject poverty and are fleeing their farms in search of something better. Frequently, that means attempting to immigrate to the United States. The price of a pound of coffee is currently just barely $1, whereas in the ‘70's it was well over $3. 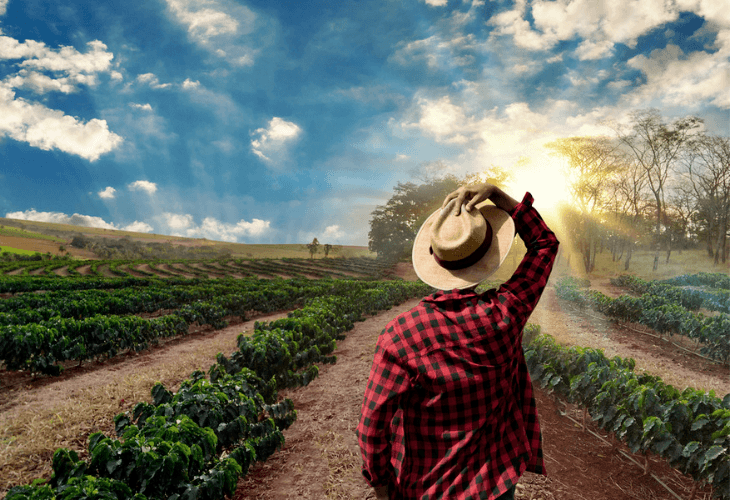 With the current cost so low, production now accounts for 80 percent of the cost, meaning farmers are only making pennies on the dollar comparatively. Organic coffee is only slightly higher per pound in some cases. Not being able to make a living, combined with issues like coffee rust, which is a disease that wipes out coffee crops, means farmers are having to look for work elsewhere. While some buyers try to offer higher prices to the farmers they work with, it may simply not be enough. Without a shift in coffee prices, the industry may run into trouble soon. For those who are able to continue working in coffee, these changes frequently mean long days with hard physical labor for little pay. One of the biggest issues facing the coffee industry is the labor issues related to production. Since it’s hard to enforce working conditions across country borders, and changing infrastructure requires funds that some farms simply don’t have, sometimes the coffee you’re drinking was originally picked by children or forced labor. Pruning, picking, and weeding coffee trees is usually done by hand, and this physical labor accounts for 60 percent of the work on a coffee farm. 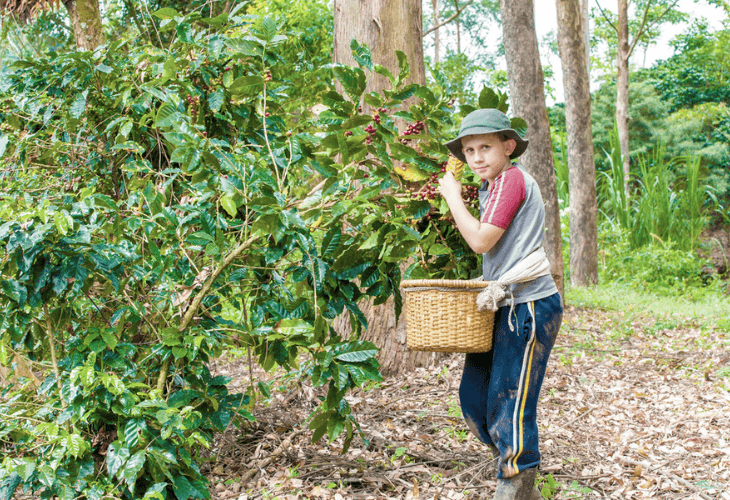 Unfortunately, that labor is sometimes still done by children according to the U.S. Department of Labor, which lists coffee as an industry where child labor still features prominently. In some instances, producers pay people so poorly they can hardly afford safe living conditions. 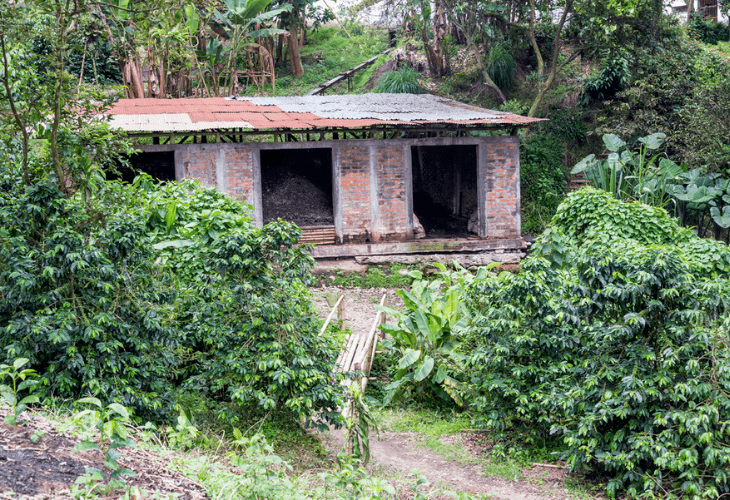 In a recent coffee farm raid, one of Starbucks Brazilian suppliers was keeping workers in conditions “analogous to slavery.” This means they were working in degrading conditions and living in substandard housing that didn’t have water or sewage. Workers frequently worked from 6 a.m. to 5 p.m., six days a week, and their food supply was subjected to the vermin they lived with. 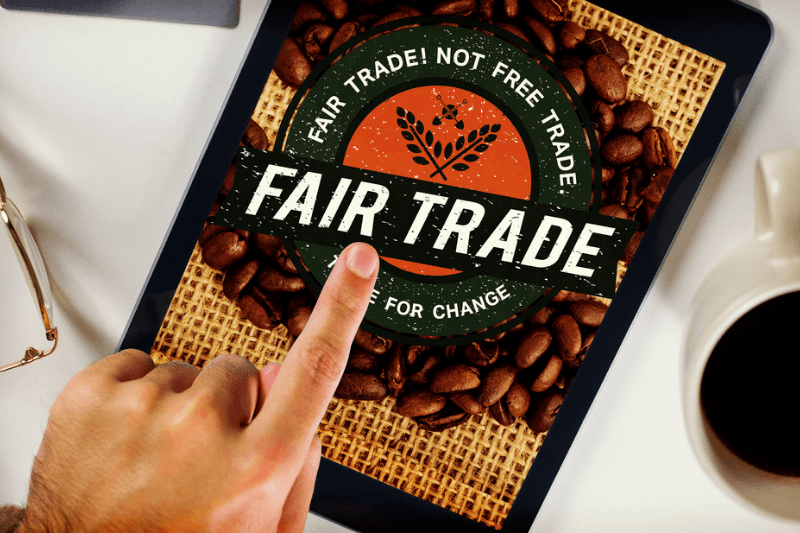 Of course, in order to charge more for a cup of coffee, many places will brand themselves as being “fair trade.” While they may be paying the current fair trade price for coffee, as demonstrated above that price isn’t the only issue the industry faces. Businesses importing coffee should be demanding that their farms improve labor conditions while also paying a price that funds new infrastructure. In some cases, meeting the farmers and distributors has become an important part of buying bulk coffee. Some independent roasters prefer to know their coffee bean supplier personally and will travel to see their operations. This decentralized approach is partially inspired by a desire to overcome geographic barriers, particularly in rural areas devoid of adequate jobs. Supporting local economies and ensuring that individual suppliers are operating ethically are of utmost importance to many independent roasters. While this makes the final product slightly more expensive, it isn’t a cost that’s entirely passed on to the consumer. An insistence on taking the time and energy to ensure better practices can only result in a better product — an improvement that customers will appreciate emotionally and they will be able to taste. This could be one way in which the coffee industry begins to shift for improvement in order to allow for its own longevity. 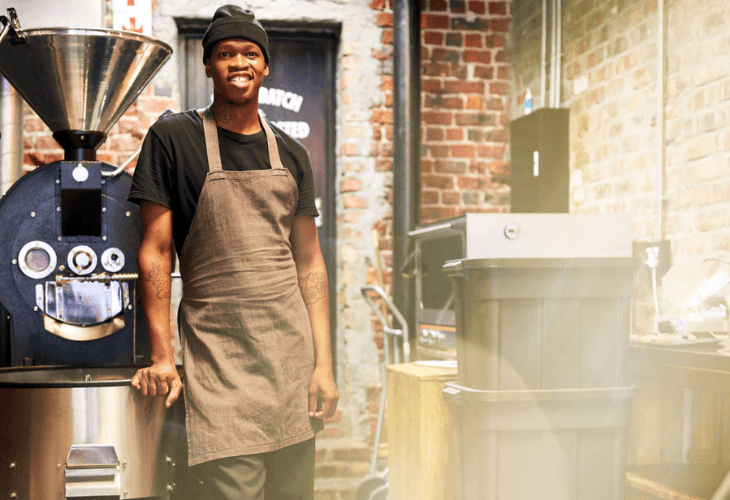 While Starbucks may have transformed how many of us consume coffee, local roasters may be the ones who truly redefine the industry. Sometimes, industry-wide change needs to come one step at a time.